Best Wedding DJs Columbia SC. We believe in creating memories that last a lifetime. Professional sound, lighting, DJ, and entertainment services for any occasion; our goal is to work with you as you create something special for your big day. Personalized entertainment plans ensure that your event is planned and played out perfectly. Best Wedding DJs Columbia SC. We believe in creating memories that last a lifetime. Professional sound, lighting, DJ, and entertainment services for any occasion; our goal is to work with you as you create something special for your big day. Personalized entertainment plans ensure that your event is planned and played out perfectly. With over 16 years of dj experience in nightclubs, special events and radio combined with the high energy vibe of the host/actor Mitchell De Guzman who also is from the radio industry, creates a unique wedding experience. The advantage of having a DJ and MC is evident as DJ Wrex can focus on the music while Mitchell hypes up and engages the crowd. We treat every event with the utmost care with the priority of making sure the guests are having a great time and the music is on point. With over 16 years of dj experience in nightclubs, special events and radio combined with the high energy vibe of the host/actor Mitchell De Guzman who also is from the radio industry, creates a unique wedding experience. The advantage of having a DJ and MC is evident as DJ Wrex can focus on the music while Mitchell hypes up and engages the crowd. We treat every event with the utmost care with the priority of making sure the guests are having a great time and the music is on point. Posh Entertainment Company is ranked 5 out of 5 on both WeddingWire & theKnot. If you need a NJ sweet sixteen DJ we will make your party rock! Check out our site today! Posh Entertainment Company is ranked 5 out of 5 on both WeddingWire & theKnot. If you need a NJ sweet sixteen DJ we will make your party rock! Check out our site today! Staar Entertainment uses a small quantity / high quality business model because we want you to be able to celebrate with confidence. We know that you need us to not just be reliable, but to show you that we're reliable before the event, so that you can relax and enjoy your Celebration! 24/7 Customer Service - You can call us any time at all for anything! Staar Entertainment uses a small quantity / high quality business model because we want you to be able to celebrate with confidence. We know that you need us to not just be reliable, but to show you that we're reliable before the event, so that you can relax and enjoy your Celebration! 24/7 Customer Service - You can call us any time at all for anything! Premiere Party Entertainment is a wedding and events entertainment company in Greenville, South Carolina! We are the undisputed DJ entertainment leader in the tri-county area of Greenville, Spartanburg, and Anderson. We've redefined wedding entertainment by not only packing dance floors, but we create an atmosphere that will leave you and your guests with an unforgettable experience! Premiere Party Entertainment is a wedding and events entertainment company in Greenville, South Carolina! We are the undisputed DJ entertainment leader in the tri-county area of Greenville, Spartanburg, and Anderson. We've redefined wedding entertainment by not only packing dance floors, but we create an atmosphere that will leave you and your guests with an unforgettable experience! BA Entertainment, the Tri-Cities’ #1 DJ Company, proudly offers wedding DJ, party DJ, & more DJ services to Kennewick Pasco Richland and surrounding areas! BA Entertainment, the Tri-Cities’ #1 DJ Company, proudly offers wedding DJ, party DJ, & more DJ services to Kennewick Pasco Richland and surrounding areas! Professional DJ Services available any night of the week. Extensive collection of music with the ability to fulfill music requests on demand. Professional dance floor lighting. Specializing in weddings, tastefully attired DJ personality Mark Stone can bring the fun to any occasion. DJ Mark serves Ashland City, Nashville, Clarksville, Springfield and surrounding areas. Professional DJ Services available any night of the week. Extensive collection of music with the ability to fulfill music requests on demand. Professional dance floor lighting. Specializing in weddings, tastefully attired DJ personality Mark Stone can bring the fun to any occasion. DJ Mark serves Ashland City, Nashville, Clarksville, Springfield and surrounding areas. Ron Rutz is a professional Dj from south west Florida. Being one of the top recommended DJ for over 14 years by Top Resorts and Country Clubs in SW Florida, he’s very successful and extremely popular DJ specially in Weddings. As a true embodiment of energy on the dance floor with her incredibly unique mix of music, skills and talent—he quickly earned a name for himself by showcasing his professionalism which takes him to most recommended by Top Wedding Locations. Ron Rutz is a professional Dj from south west Florida. Being one of the top recommended DJ for over 14 years by Top Resorts and Country Clubs in SW Florida, he’s very successful and extremely popular DJ specially in Weddings. As a true embodiment of energy on the dance floor with her incredibly unique mix of music, skills and talent—he quickly earned a name for himself by showcasing his professionalism which takes him to most recommended by Top Wedding Locations. DJ Ayman Soliman is your Arabic DJ in DC, MD & VA for weddings & other events. From Continental to Mediterranean music, book me to play the best music at your event. We are also an entertainment provider & an event planner with AV solutions for you. DJ Ayman Soliman is your Arabic DJ in DC, MD & VA for weddings & other events. From Continental to Mediterranean music, book me to play the best music at your event. We are also an entertainment provider & an event planner with AV solutions for you. 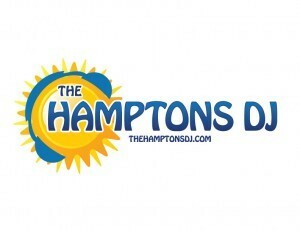 When you think of visiting the Hamptons you think of Fun, Energy, Excitement, and Creativity and that’s my mission with performing music services as a Long Island Dj .I’ve been playing on the radio, stages, and well anywhere in New York and Florida for more than 20 years. I’m the serious disc jockey who is working and having fun at the same time. When you think of visiting the Hamptons you think of Fun, Energy, Excitement, and Creativity and that’s my mission with performing music services as a Long Island Dj .I’ve been playing on the radio, stages, and well anywhere in New York and Florida for more than 20 years. I’m the serious disc jockey who is working and having fun at the same time. With over 15 years of DJ experience, Boise DJs is the right choice for your event. Our specialties include weddings, corporate events and school dances. Every event receives complete and dedicated attention. During the event our attention to detail provides for a much more valuable experience. Announcements are well heard and music is played at an appropriate level. All bookings include a free consultation. All of our music is up to date and current. With over 15 years of DJ experience, Boise DJs is the right choice for your event. Our specialties include weddings, corporate events and school dances. Every event receives complete and dedicated attention. During the event our attention to detail provides for a much more valuable experience. Announcements are well heard and music is played at an appropriate level. All bookings include a free consultation. All of our music is up to date and current. Should you be searching for a DJ Equipment supplying company who can provide a wide variety of DJ Equipment, all provided from the biggest names within the industry, then make sure contact us here at DJ Kit.com today. Although we sell big name brands such as Traktor and Numark we are able to supply to you at some of the very best prices on the internet. Should you be searching for a DJ Equipment supplying company who can provide a wide variety of DJ Equipment, all provided from the biggest names within the industry, then make sure contact us here at DJ Kit.com today. Although we sell big name brands such as Traktor and Numark we are able to supply to you at some of the very best prices on the internet. We operate a fully interactive service where you can tell us exactly what you do (or don’t!) like about DJ’s and Disco’s and we’ll use this information to design the perfect night for you and your guests. We will play whatever music you’d like us to, through a High Quality Sound System, at the volume you want. We openly encourage customers to send a Playlist or to give us any music preferences- we really do want to get your music absolutely right for you! We operate a fully interactive service where you can tell us exactly what you do (or don’t!) like about DJ’s and Disco’s and we’ll use this information to design the perfect night for you and your guests. We will play whatever music you’d like us to, through a High Quality Sound System, at the volume you want. We openly encourage customers to send a Playlist or to give us any music preferences- we really do want to get your music absolutely right for you! CoolCityEntertainment is an affordable, high quality, and charming Boston wedding DJ and mitzvah DJ. We are 2012 Wedding Wire rated and serve all of New England. CoolCityEntertainment is an affordable, high quality, and charming Boston wedding DJ and mitzvah DJ. We are 2012 Wedding Wire rated and serve all of New England. Let us provide the best DJ entertainment experience for your next event. Let us provide the best DJ entertainment experience for your next event. Custom DJ Company are Auckland’s top DJ specialists for weddings, parties, corporate events, school balls and functions. New Zealand’s best DJs for your event. Custom DJ Company are Auckland’s top DJ specialists for weddings, parties, corporate events, school balls and functions. New Zealand’s best DJs for your event.